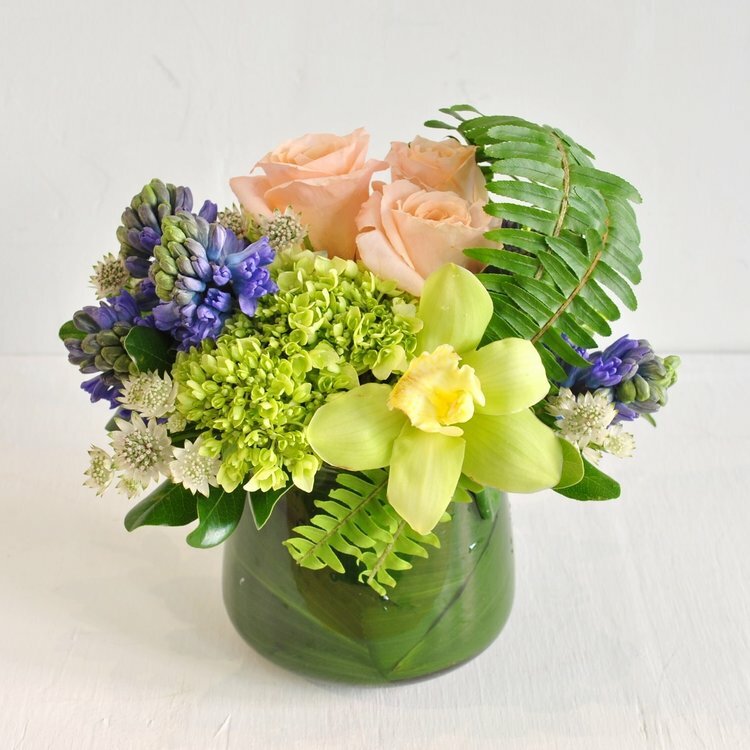 Rouvalis Flowers - Boston Florist, Flower Delivery, Corporate Floral, Flower Subscriptions, Plants & Garden Design BlogThink Spring! Here in New England, it's not unusual to wear shorts one day and expect snow the next! Although Boston may not have decided on what season to settle on, we're certainly ready for Spring here at Rouvalis Flowers & Gardens! 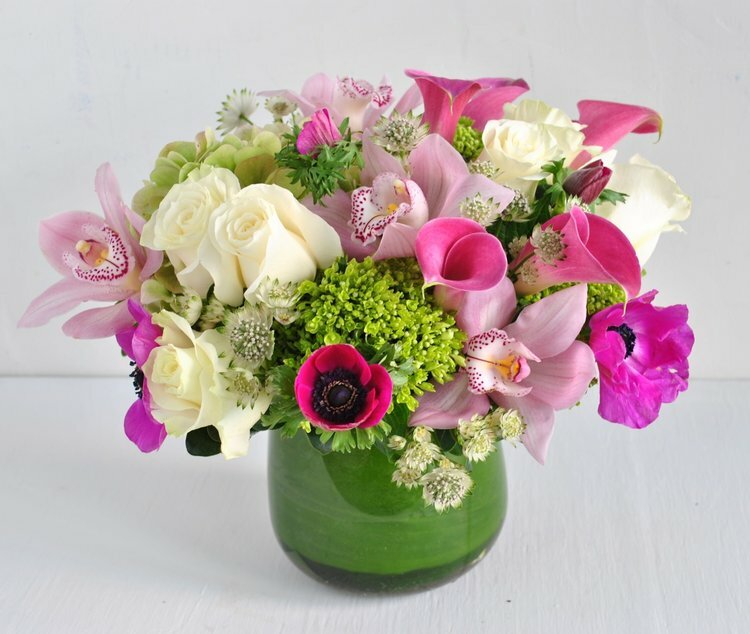 As soon as Valentine's Day passed, our designers have been dreaming of spring colors and scents, and some of our favorite spring florals have made their debut in our Spring Collection. 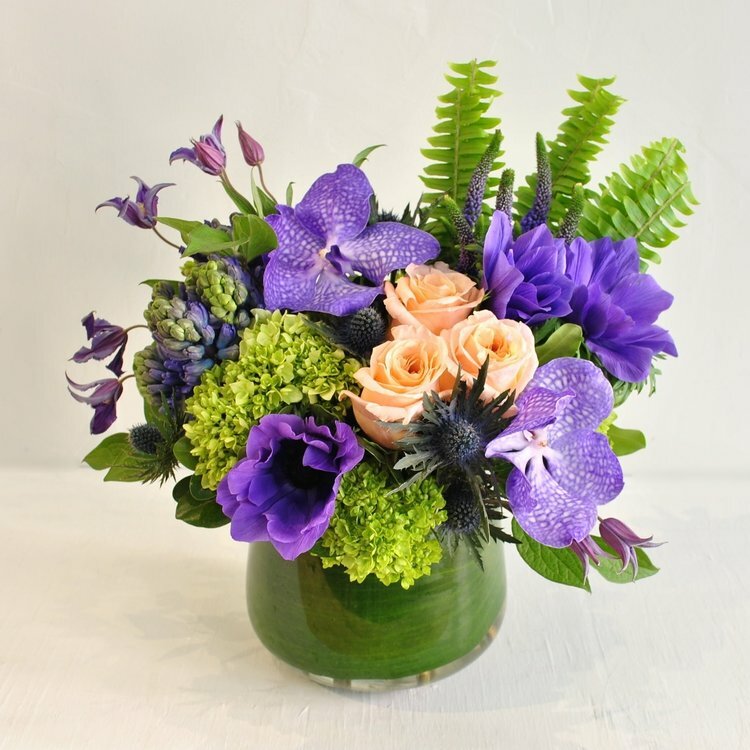 Fragrant hyacinth in rich blues, sweet anemone in purples and pinks, and soft green cymbidium orchids highlight new designs that are available for pick up and delivery! Browse our designs to bring some color into your home today!